The Chinese artistic tradition is one of the world’s oldest and most storied institutions. Divided into two classifications – that of a “Northern,” more realistic school, and a “Southern,” more interpretive style – Chinese art typically focuses on the relationship between nature and the self. One of the most easily recognized forms of Chinese art is shuǐ mò huà, otherwise known as ink wash painting. 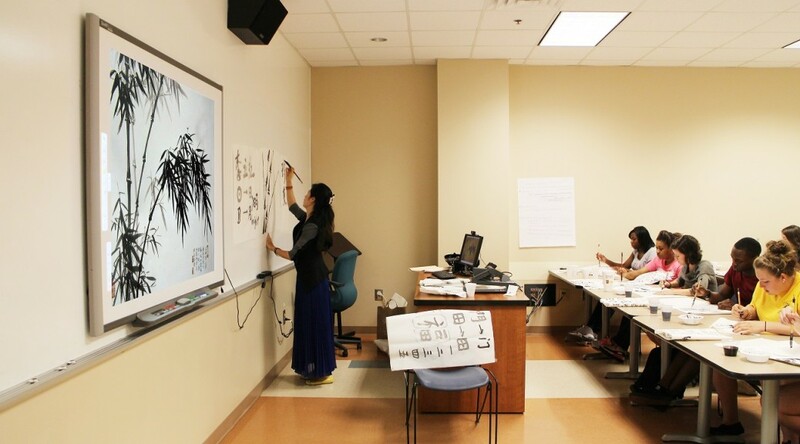 Also known as sumi-e or literati painting, shuǐ mò huà is a popular Southern style that focuses on the use of quick, deliberate brush strokes in order to create richly detailed works with the feel of traditional watercolor paintings. 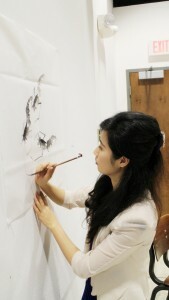 LiHong Li, an artist visiting Georgia Regents University from Nanjing, China, is an expert in the art of shuǐ mò huà. Over the course of her career, she has created a series of beautiful works using only water-thinned ink and animal hair brushes – the traditional tools of the literati painter. Alan MacTaggart, an art professor at GRU, said Li’s visit has been very enlightening. MacTaggart said Li’s artwork is very popular among his students. Li mastered the art of shuǐ mò huà while studying at the University of Nanjing Art College and Nanjing Normal University, both of which are located in her hometown of Nanjing. Currently, she lives with her husband near Shanghai, and teaches at Jiangsu University of Science and Technology. Li’s work is on display at the Morris Museum of Art until June 21. Her exhibition, titled “From Nanjing to Augusta: The Aesthetic Conception of Chinese Painting,” encourages viewers to reflect upon their own spirit to help them find their spiritual balance.